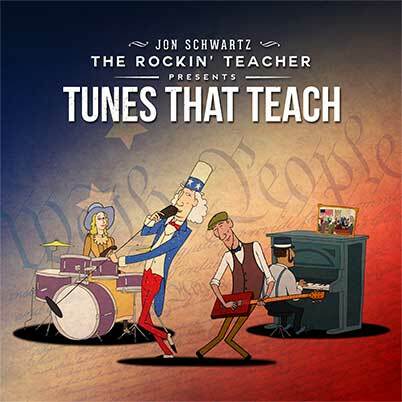 Tunes That Teach by Jon Schwartz the Rockin’ Teacher is culturally rich blues, roots, and rock music for all ages. 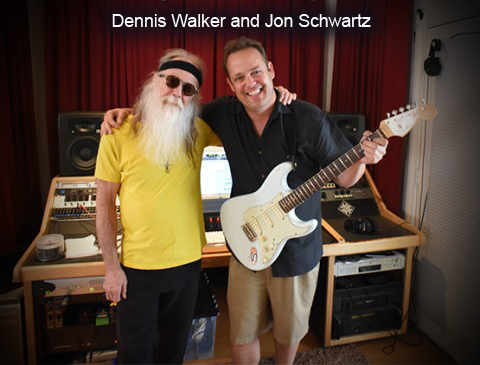 It’s the result of an amazing collaboration between 3x Grammy-winning blues vet Dennis Walker (BB King, Robert Cray), world-class musicians, and songwriter Jon Schwartz, a veteran school teacher and musician whose work has been featured by the US Dept. of Education. It rocks and teaches at the same time with songs about The Constitution, Gold Rush, Dust Bowl, Apollo 13, Figurative Language, and The Transcontinental Railroad.